Siemens has mitigations, fixes and workarounds to handle vulnerabilities in its EN100 Ethernet communication module and SIPROTEC 5 relays, according to a report from the Siemens Product CERT. The EN100 Ethernet communication module and SIPROTEC 5 relays are affected by security vulnerabilities that could allow an attacker to conduct a denial-of-service attack over the network. Siemens released updates for several affected products, is working on updates for the remaining affected products, and recommends specific countermeasures until fixes are available. The vulnerabilities ended up discovered by Victor Nikitin, Vladislav Suchkov, and Ilya Karpov from ScadaX. The EN100 Ethernet modules are used for enabling process communication on either IEC 61850, PROFINET IO, Modbus TCP, DNP3 TCP or IEC 104 protocols via electrical/optical 100 Mbit interfaces on SIPROTEC 4, SIPROTEC Compact and Reyrolle devices. SIPROTEC 5 devices provide a range of integrated protection, control, measurement, and automation functions for electrical substations and other fields of application. In one vulnerability, specially crafted packets to port 102/tcp could cause a denial-of-service condition in the affected products. A manual restart would then be required to recover the EN100 module functionality of SIPROTEC 4 and SIPROTEC Compact relays. Successful exploitation requires an attacker with network access to send multiple packets to the affected products or modules. As a precondition, the IEC 61850-MMS communication needs to be activated on the affected products or modules. No user interaction or privileges are required to exploit the vulnerability. The vulnerability could allow causing a denial-of-service condition of the network functionality of the device, compromising the availability of the system. In another issue, specially crafted packets to port 102/tcp could cause a denial-of-service condition in the EN100 communication module if oscillographs are running. A manual restart is required to recover the EN100 module functionality. Successful exploitation requires an attacker with network access to send multiple packets to the EN100 module. As a precondition the IEC 61850-MMS communication needs to be activated on the affected EN100 modules. No user interaction or privileges are required to exploit the vulnerability. The vulnerability could allow causing a denial-of-service condition of the network functionality of the device, compromising the availability of the system. The vulnerability has a case number of CVE-2018-11452 and it has a CVSS base score of 5.9. Siemens is not aware of any exploits leveraging either vulnerability. •	Block access to port 102/tcp e.g. with an external firewall. As a general security measure Siemens recommends to protect network access with appropriate mechanisms like firewalls, segmentation, and a VPN. It is advised to configure the environment according to operational guidelines in order to run the devices in a protected IT environment. 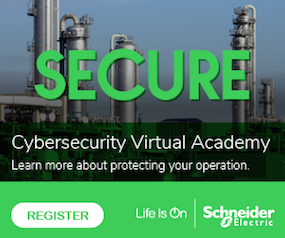 Click here for recommended security guidelines to secure substations. •	SIPROTEC 5 relays with CPU variants CP300 and CP100 and the respective Ethernet commu- nication modules: All versions before V7.80, only affected by CVE-2018-11451: Update to firmware version V7.80 for the following device types: 6MD85, 6MD86, 7SS85, 7KE85, 7UM85, 7SA87, 7SD87, 7SL87, 7VK87, 7SA82, 7SA86, 7SD82, 7SD86, 7SL82, 7SL86, 7SJ86, 7SK82, 7SK85, 7SJ82, 7SJ85, 7UT82, 7UT85, 7UT86, and 7UT87. Search for “SIPROTEC 5 – DIGSI Device Drivers V7.8x”. The firmware version V7.80 for the communications modules can also be found on each device specific download page: See under “Additional DIGSI Device Driver>Protocols”.